I started my teaching career around 20 years ago after graduating in Biochemistry from the University of Liverpool. Having spent considerable time researching education establishments across the world I have gained a deep understanding of what makes a great school. 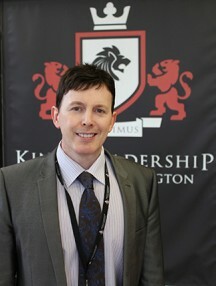 I passionately believe that children’s lives can be transformed through the power of education and that great schools need to be grounded in deep human values, which is why at King’s we have chosen the dual specialisms of character and leadership to prepare our students for tomorrow’s world. I believe that the core purpose of any school comes down to service; meeting the needs of the wider community humanises us and allows our students to take their place in society. At King’s, it is our shared values which empower us to action when life throws us a curve ball and our character which keeps us true to that path once the journey begins. Ultimately, people want to live meaningful lives with purpose. Our mission at the Academy, is to ensure that all our students are in a position to follow their destiny when they leave our care. We want our students to influence others for the greater good and use their leadership skills to contribute positively to society. In serving our community, it is our aim to establish a strong sense of moral purpose which resonates with staff, parents and most importantly our children. Caring for our learning culture is at the heart of all our actions and allows both staff and students to be part of something bigger than we each could achieve on our own. At King’s, this culture permeates all that we do and is firmly based on the founding values of the ASPIRE code. This code represents the 7 pillars underpinning our shared philosophy and is described as follows: Aspiration and Achievement; Self-awareness; Professionalism; Integrity; Respect and Endeavour. It is important that every day we each try to uphold and protect these values, we must do this not because it is easy, but because it is not, it is this commitment which forges our character and ensures that excellence over time becomes a habit for all. I hope you enjoy reading the pages of this website and wish you all the best for the future.